Aaron Holiday, a 6-1, 187-pound guard, played three seasons at UCLA and averaged 14.3 points, 3.2 rebounds and 4.7 assists per game. 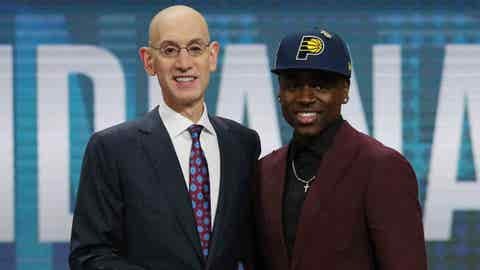 The Indiana Pacers announced Sunday they have signed Aaron Holiday, the 23rd pick in the 2018 NBA Draft. Holiday, a 6-1, 187-pound guard, played three seasons at UCLA and averaged 14.3 points, 3.2 rebounds and 4.7 assists per game.